Of course there are some basic costs even the smallest of businesses might need to pay out. You can end up paying out for all sorts of business services which end up not leading to a return on investment. 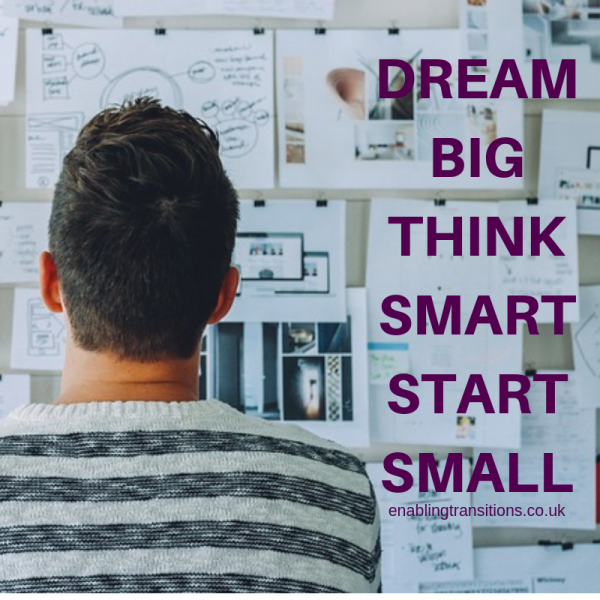 At the beginning of going for your dreams you can be bombarded with all sorts of advice and things to buy to get your business off the ground. Everything from marketing, accounting, having an office, launching, networking etc. And it can be difficult to know which way to go. Luckily for me the advice of “don’t spend money you haven’t got” got me through the tricky years. What it did mean though was I had to invest time in learning about all these things but again this has taught me some good business lessons and also has helped me know what I needed to invest in later. What business advice has helped you to get off the ground and go for your dreams? 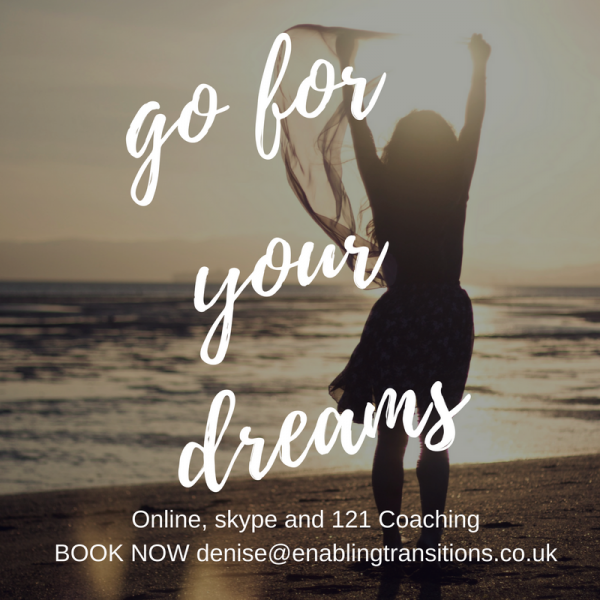 If you want to go for your dreams my common sense coaching packages will be useful. Let’s talk. Print article This entry was posted by Denise on September 22, 2018 at 2:47 pm, and is filed under Coaching. Follow any responses to this post through RSS 2.0. Both comments and pings are currently closed.